Celebrate with us! 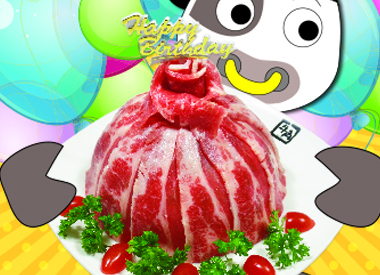 With our Birthday Special - “Free Birthday Beef Cake”! - Valid from now till 31 Dec 2019. - Minimum of 2 diners with minimum spend of $80.00++. 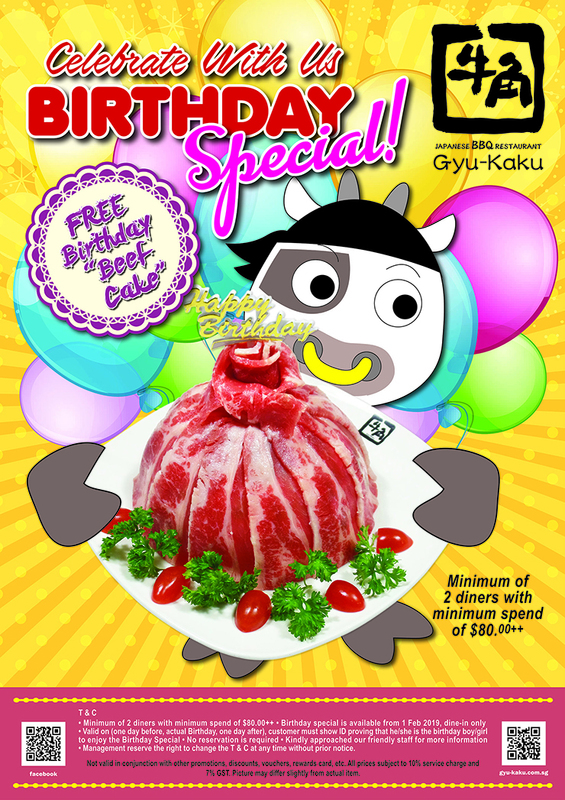 - Birthday special is available from 1 Feb 2019 for dine-in only. - Valid on (one day before, actual Birthday, one day after), customer must show ID proving that he/she is the birthday boy/girl to enjoy the Birthday Special. - No reservation is required. - Management reserves the right to change the terms and conditions at any time without prior notice.